2 Beds 2 Baths 1,280 Sq. ft.
BOATERS ALERT! You will love this community with its private community boat launch that puts you in deep water a short distance from the intracoastal & the inlet! 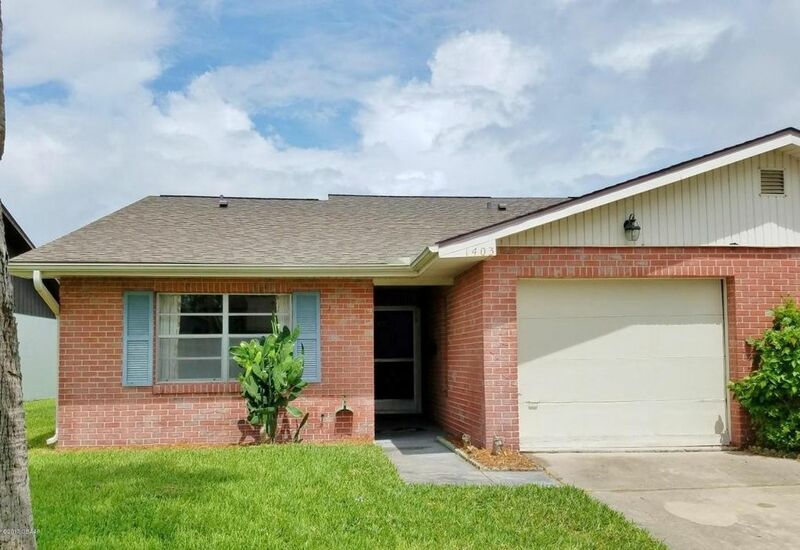 This 2 bedroom/2 bath concrete block home has an October 2015 architectural shingled roof, a 2013 a/c system & New garage door installed 9/2017 Kitchen open to dining/living room highlighted by brick fireplace! There is a den/family room that easily could be a 3rd bedroom! Has all the right bones...all this great home needs is your interior updating ideas & WOW! All old carpet has been removed down to concrete slab! Sliding glass doors open to BBQing patio! Community lawn care including sprinkler system, fertilization & cutting! Clubhouse & pool! Fishing dock by ramp! RV/Boat storage! Digital cable TV in HOA fee. Directions: Dunlawton east to right on Halifax next to Aunt Catfish, about 2 miles on left is Portobello.